Red Bull has made its full-length Red Dead Redemption 2 concert available for viewing online in full. The Red Bull Music Festival in Los Angeles recently hosted a special Red Dead Redemption 2 musical event, and attendees were invited to hear the music from the game performed live. Composer Woody Jackson lead an intimate performance of the Red Dead Redemption 2 soundtrack while there, and now the full performance is available on YouTube for you to check out, even if you happened to miss it as it happened live. That's great news for huge fans out there feeling a little left out, so we're definitely appreciative that the moment was captured on film, as it looks like an extremely memorable time for Rockstar fans. 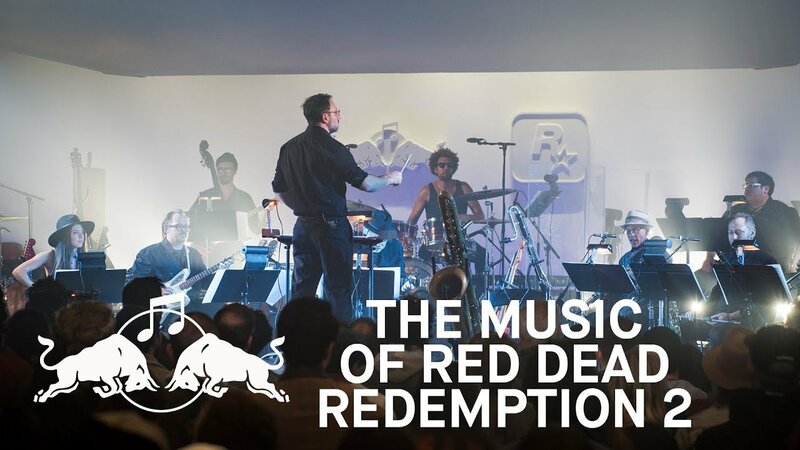 The Music of Red Dead Redemption 2 acted as a closing installation for the Red Bull Music Festival, much to the delight of attendees. Some of the contributors who worked on the score appeared during the concert as well: saxophonist Colin Stetson, vocalist Petra Hayden, and Indonesian duo Senyawa in addition to a few select other guests. If you haven't played the game, you'll be in for a treat. The soundtrack features a wide variety of talents, including Nas, D'Angelo, Rhiannon Giddens, Queens of the Stone Age's Josh Homme, Jon Theodore, and Mikey Shoes. Of course, there's more to the game than just some sizzling hot music. The game's pretty good, too! More than pretty good, but phenomenal if you're into the western aesthetic and Make sure you check out our interview with the game's voice actors for an insightful look at what it took to bring the characters and the universe to life. Let us know what you think of the performance in the comments below. It's probably nothing as cool as it was to be there, but hey – some of us have to stay on our side of the country and don't get to go gallivanting all over for cool things like this. Either way, it's an awesome way for fans to experience the game outside of simply playing it.